Hiking Books - Books on Sports - Sport Books: Catalog of books about your favorite sports. 2019 Hiking books on sale now. Buy your 2019 Hiking books with us today. We have many Hiking books to choose from and each purchase comes with the ease and convenience of Sportspool's online experience. 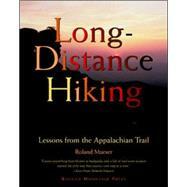 We hope you find the Hiking book that is perfect for you! "Walking the entire 2,200-mile length of the Appalachian Trail is to serious hikers what scaling Mount Everest is to climbers. This unconventional book combines sage advice with personal experiences and anecdotes to produce an unusually thoughtful, highly readable handbook of interest to long-distance hikers everywhere. 55 illustrations." "The outdoors person's complete guide to drying, preserving and preparing lightweight foods. 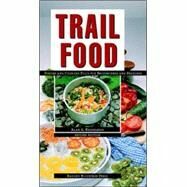 Over 50 field-tested recipes emphasize fresh, healthful, and delicious dishes that can be prepared quickly and easily."